The Youngstown State University baseball team got off to a rough start against the University of Pittsburgh on Wednesday night, and things only got worse for the Penguins. Pitt (18-14, 8-9 in the Atlantic Coast Conference) jumped out to a 6-2 lead in the top of the second inning and never looked back. With two outs in the second inning, the Panthers combined for six runs on six hits in the second. Pitt right fielder hit a two-run triple to take the lead. Afterwards, the Panthers strung together six straight hits to keep the inning alive. 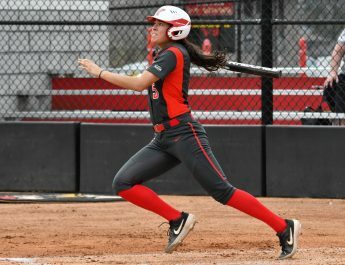 YSU (7-23, 2-9 in the Horizon League) responded in the bottom of the second inning. YSU designated hitter Andrew Kendrick started the inning with a leadoff double down the leftfield line. First baseman Gerrad Rohan followed Kendrick with a double of his own down the leftfield line to cut the lead to 6-1. Rohan later scored on a pass ball to cut the lead to 6-2. The Penguins got the bats going again in the bottom of the third inning. With runners on first and second, Kendrick singled into right field to drive in Web Charles. Later in the third inning, Rohan grounded into a fielder’s choice, but second baseman Billy Salem scored from third base on the play. The Panthers tacked on another two runs in the top of the fourth inning to extend their lead to 9-4. With two outs, Manny Pazos hit a RBI double to right center field to score Nick Yarnall. In the top of the fifth inning, Pitt second baseman David Yanni hit a two-run double to right center field to increase the Panthers’ lead to 13-4. Later in the inning, Frank Maldonado hit a RBI single up the middle. Charles Leblanc hit a two-run single to centerfield to drive in Jacob Wright and Pazos. Pitt added some insurance runs in the final innings, and the Penguins were unable to make their way back into the game. The Penguins will host Wright State University in the first of a three-game series. YSU will play four Horizon League games over the weekend. YSU will host another doubleheader against Oakland University on Saturday. First pitch of game one of the Wright State series is scheduled for 1 p.m. on Friday. The first pitch of the Oakland series is scheduled for 1 p.m. on Saturday. All four games will be played at Eastwood Field.